Although there are less of some birds at Theler since they removed the dikes and flooded the fields, I’ve enjoyed seeing a lot more shorebirds at Theler since the changes. Because the numbers are so much smaller than during migration at the beach, you get a better chance of observing single birds than you do at the beach. 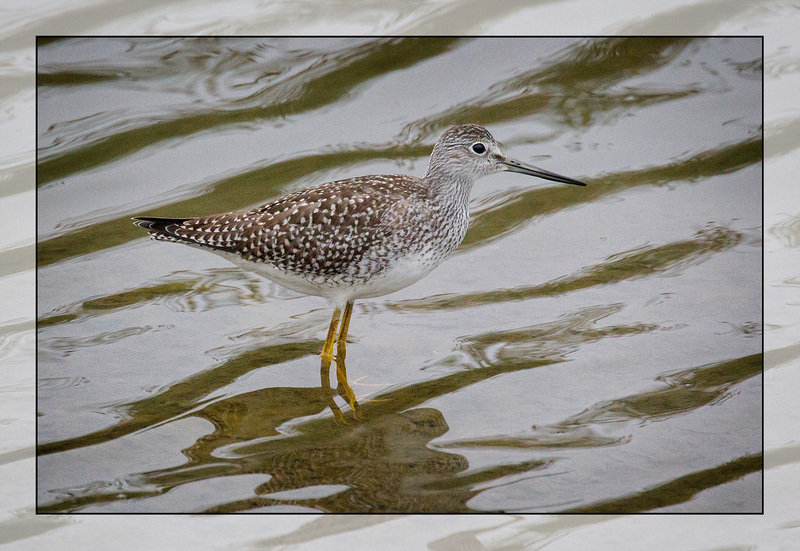 Sometimes you even get to see them much closer, like this Yellowlegs that I observed in the small pond at the beginning of the walk. He glanced at me once and went back to the business of finding a meal. 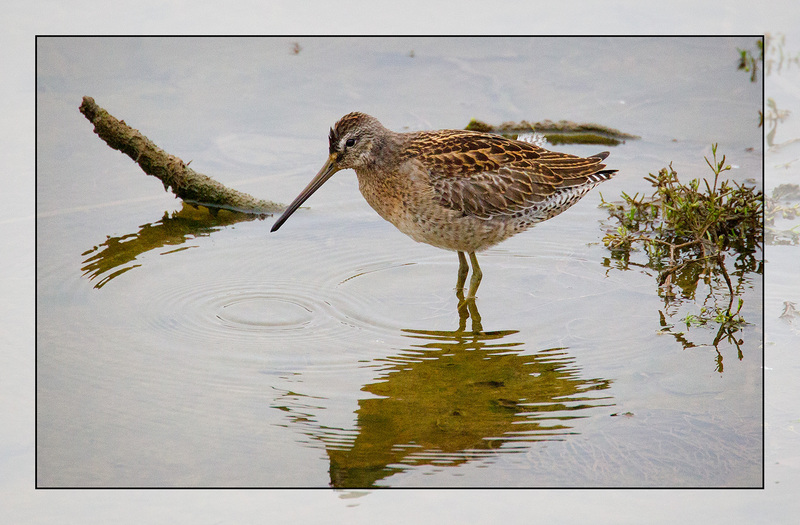 This Dowitcher hung around Theler for nearly a month, giving me multiple opportunities to photograph him. providing opportunities to get them from unusual angles as they foraged under the bridge that spans the new creek bed. I’ve already spent hours photographing from that bridge. Like the birds, I’m growing fonder of what I’m seeing at Theler since the major changes. 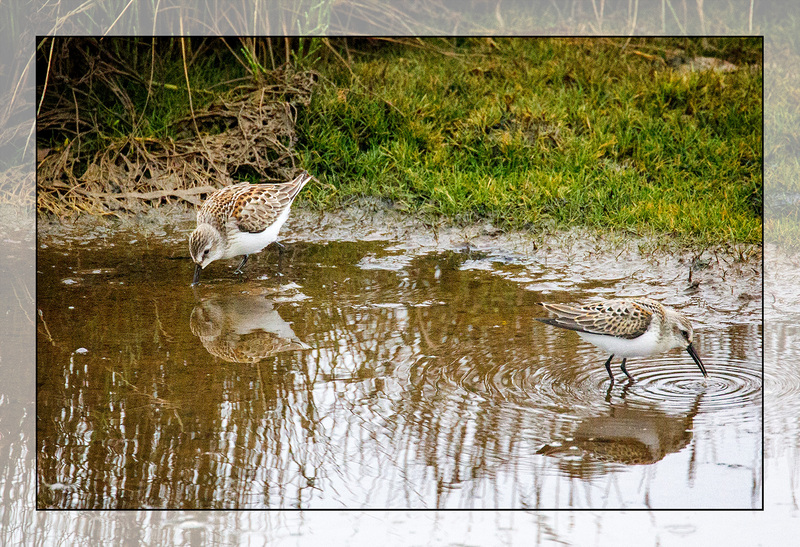 It’s wonderful that you are seeing these shorebirds there. Love these shots. 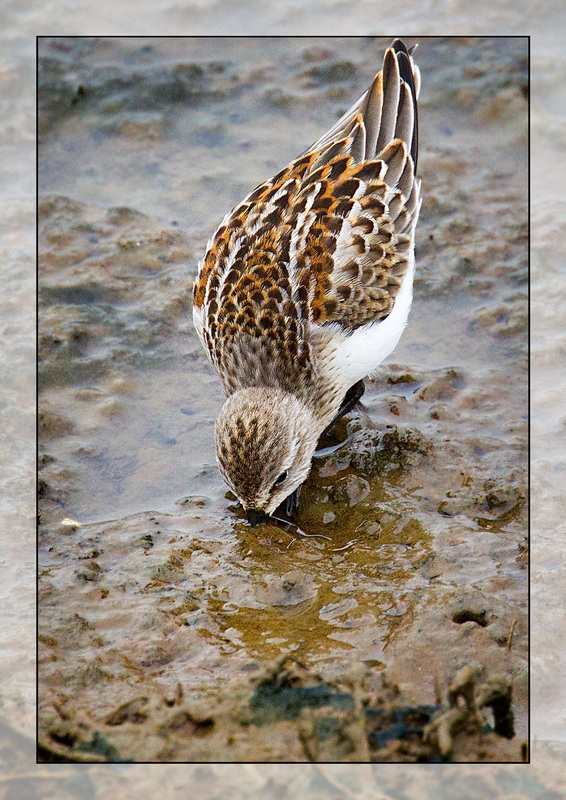 The colors on the sandpipers are so beautiful and rich. I did get to photograph a Greater Yellowlegs the other day, but there are still no divers or dabblers at the marsh here. Looking forward to fall migrations and hoping for the best.